Just like an Audi Q7 should be: athletic, timeless, unique. Reduced overhang at the back, enhanced sporty appearance. Masculine, yet conveying lightness. 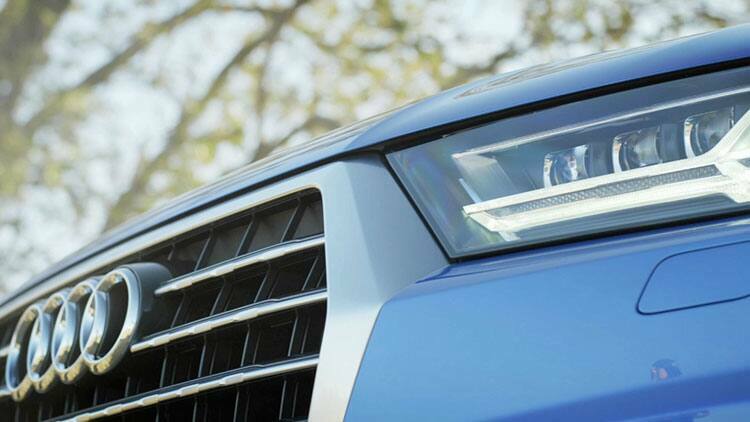 The Audi Q7 is the result of an ambitious idea: never stop getting better. *Price (incl VAT): R1,022,114. Interest rate: 4.43%. Deposit: 14.5%. Instalments: 48. GFV: R598,804. Total cost of credit: R1,170,800.